Polamar Skies - Astrophoto Friday - A Marvel in the Darkness | Astro What? Antonin Mrkos discovered seven comets. 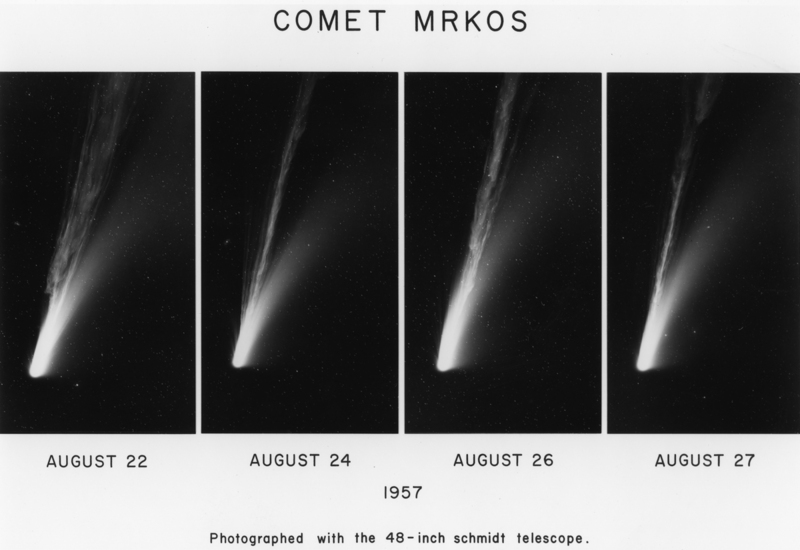 These photos of his brightest comet (1957 D) were taken in August 1957 with Palomar Observatory's 48-inch Schmidt Telescope (now called the Samuel Oschin Telescope) by Charles Kearns, George O. Abell and Byron Hill. Be sure to click on the image to make it larger to see the wonderfully detailed structure of the comet's tail.